ROME -- A free trade deal being negotiated by the European Union and the United States is at a dead end and an agreement with Canada is also at risk, Italy's industry minister said. "I think [the TTIP deal] will fall through, and the agreement with Canada is at risk of doing the same. We have been negotiating it for too long," Carlo Calenda said at an event in Rome on Tuesday. Calenda said confidence in the negotiations was lacking. Talks on the Transatlantic Trade and Investment Partnership (TTIP), a sweeping U.S.-European free trade deal, started three years ago, but the two sides have been unable to settle differences over various issues, including agriculture. On Tuesday the EU put its accord with Canada on a slow track for approval, increasing the risk of a veto amid an anti-globalization backlash across Europe. The European Commission, the EU's executive arm, proposed that its first trade agreement with a fellow member of the Group of Seven leading industrialized countries face ratification by national parliaments in the 28-member bloc. This marks a retreat from an initial goal to require backing only by governments and the European Parliament. The decision follows last month's UK vote to leave the EU and warnings against bypassing lawmakers by countries such as Austria that underscore popular disenchantment with supranational decision-making. The reversal, which goes against the commission's own legal opinion, also signals a longer and bumpier road for the planned EU-U.S. trade agreement for which the Canada pact is a model. "We call upon the member states, who have all asked for this agreement, who have all welcomed it, to also show the leadership to defend it vis-a-vis their parliaments and their citizens," European Trade Commissioner Cecilia Malmstroem told reporters on Tuesday in Strasbourg, France. "This is a really good agreement." The EU and Canada projected as recently as February that their Comprehensive Economic and Trade Agreement, or CETA, would take effect in 2017. Malmstroem said on Tuesday that she wants the deal to be applied provisionally before all national ratifications are completed. Beyond lengthening the approval process, the ratification route through national and even some regional parliaments hands any one of them veto power. German Chancellor Angela Merkel, a Christian Democrat whose Social Democratic coalition partner criticized the commission's original stance on CETA, signaled support for a stronger national role in ratification. "Requiring national parliaments to vote on free-trade agreements isn't a novelty," Merkel told reporters in Berlin on Tuesday. The political pitfalls risk undermining the credibility of the EU as it sidesteps stalled World Trade Organization efforts to open markets by seeking commerce deals with individual countries or groups of nations. Negotiations on the EU-Canada agreement, the bloc's most ambitious to date, began in 2009. The accord would end 98 percent of tariffs on goods traded from the outset and 99 percent after seven years. Each side would dismantle all industrial tariffs and more than 90 percent of agricultural duties. Markets for services and public procurement would also be opened. The EU is Canada's No. 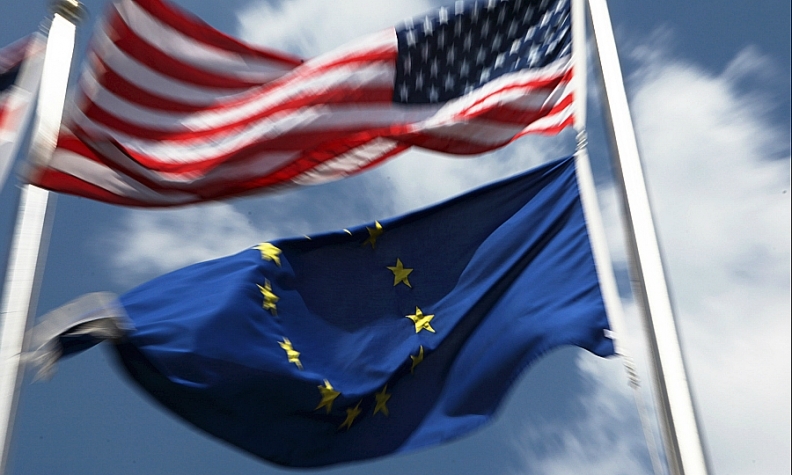 2 trade partner after the U.S., and Canada is the EU's 12th-biggest, according to the commission. EU-Canada trade in goods was 59.1 billion euros ($65.9 billion) in 2014, while services commerce totaled 27.2 billion euros. In an effort to win over European skeptics, the two sides amended the draft in 2014 to scale back protection for foreign investors. The provisions on so-called Investor-State Dispute Settlement are also being inserted into a draft EU-Vietnam trade pact completed last year and will be the model for treatment of foreign investors in the planned EU-U.S. deal.